Excise is all the extra stuff we have to do, what it costs, or the time spent on the project. For example, buying licenses, researching, money used on testing. These tasks consume a lot of our time. I believe this is natural, that excise tasks take more time that actual revenue. This post won’t have the minimum quality I would expect for my regular blogposts. But what would you expect from a post I’m writing a Friday Night/Saturday morning at 1:20am? I just finished all my hard exams and started to felt weird for doing nothing, so writing a post for this blog was a partial terrible? solution. I’m 100% sure this will change tomorrow morning after waking up for the first time in 6 days of sleeping ULTRA late. I didn’t left things until the end this time, but the fact that I’m a graduate candidate makes everything worse. It’s like being the guy who will kick the last penalty in a final of the FIFA world cup. A mistake can decide of whether I graduate or not. CENEVAL exam, student loans documentation, and exams week merge into a short period of time. But I have faced this kind of stress at least once every single semester during the 5 years of college and every time I have survive. I thank all my friends and family that have supported me to become the person I’m today. A person who can write a blogpost of DevOps and only speak about it for 1/3 part. I learn basics of DevOps and realized that 90% of the time doing the code was trying to figure out why it didn’t work, therefore it was excise. 2013 seems like yesterday. But it was 6 years ago! Maybe in the future I’ll see this blog as kinda lame as well. My first tweet: I remember having a Beatlemania phase on middle school. Of course that a lot of people have heard the Strawberry Fields Forever song Kevin!! My first instagram post: I remember instagram logo wasn’t as colorful as today, and it wasn’t owned by Facebook, maybe in 6 years Mexico will be owned by Mark Zuckerberg. My first video: I don’t even remember the email for that account. But I was a very big fan of Neopets.com. I used to do videos and stop-motion lego animation with my sister’s camera and my dad’s laptop. I don’t even understand how I got 1.7k views for those videos. Even with my current channel I can’t pass the 30 views. Last week was the 30th anniversary of the World Wide Web! 🎉 This is the same year that the Berlin wall came down and sadly the last time that Liverpool became premier league champions. (yes it’s a long time ago). Internet has changed our life in sooooooooooooooooooooooooooooooooooooooooooooooooooooooooooooooooooooooooooooooooooooooooooooooooooooooooooooooooooooooooooooooooooooooooooooooooooooooooooooooooooooooooooooooooooooooooooooooooooooooooooooooooooooooooooooooooooooooooooooooooooooooooooooooooooooooooooooooooooooooooooooooooooooooooooooooooooooooooooooooooooooooooooooooooooooooooooooooooooooooooooooooooooooooooooooooooooooooooooooooooooooooooooooooooooooooooooooooooooooooooooooooooooooooooooooooooooooooooooooooooooooooooooooooooooooooooooooooooooooooooooooooooooooooooooooooooooooooooooooooooooooooooooooooooooooooooooooooooooooooooooooooooooooooooooooooooooooooooooooooooooooooooooooooooooooooooooooooooooooooooooooooooooooooooooooooooooooooooooooooooooooooooooooooooooooooooooooooooooo many ways. And I’ll show some of them thanks to a very cool site that took ✌🏻screenshots✌🏻 of old web pages, this is WayBackMachine. If you have Linkedin Learning (before Lynda) a good course you can follow is this. I couldn’t find any place to leave a comment but in a form of Course Evaluation, and I also gave a like to the course. For more learning you can go to https://docs.python.org/3/library/unittest.htmlYour evidence (again screenshots) of using PyCharm with pyunit. The book for reference in all the post is Introduction to Software Testing, 2nd Edition. What is “correctness” in agile processes? All agile methods have an underlying assumption that instead of defining all behaviours with requirements or specifications, we demonstrate some behaviours with specific tests. The software is considered correct if it passes all particular set of tests. But to be honest, no one is sure of what the term correctness mean when applied to a computer program. Do TDD tests do a good job testing the software? 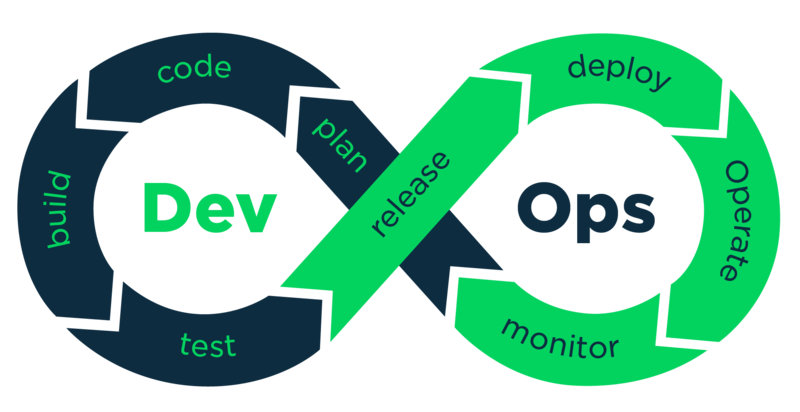 Test Driven development is an agile approach (agile is a mindset not a methodology). So it’s a good tool to be responsive to change, because its focus is create a system that does something as early as possible. TDD allow us to obtain critical feedback quickly as possible. For example today at work something in the backend crashed, but it’s better that if it’s going to fail, that fail as quickly as possible. In conclusion, yes, it’s good depending your focus. Can we automate our tests without TDD? Can we use TDD without automating our tests? Yes we can, but this mean it will be manual, so it will have to spend more time and it will return the human factor. So in other words, it’s a no in disguise. What four structures do we use for test criteria? What usually prevents our tests from achieving 100% coverage? As discussed later, there are infinite number of inputs and can’t be explicit enumerated. But we can divide up the input space to maximize the number of faults found per case. To be honest a 100% coverage is not even a realistic or possible goal. Secondly, some requirements can’t be satisfied and are very hard to find (as a purple M&M’s according to the book). Sometimes this is because the existence of dead code that can’t be reached. Another reason, what does 100% even mean? Where is the criteria for saying how much worst is 99% from 100%. Some organizations in industry who adopt TDD report that it succeeds very well, and others report that it fails. Based on your knowledge of TDD and any experience you have, why do you think it succeeds sometimes but not all? Even the book knows that the main cost of Agile methods for testing (in this particular case TDD) is that a lot of things are different. So it’s not easy for established teams and companies to change their mindset just like that. Therefore, sometimes TDD fits the project, sometimes it doesn’t. It’s not the methodology but how it’s implemented. A few software organizations use test criteria and report great success. However, most organizations do not currently use test criteria. Based on your knowledge and experience, why do you think test criteria are not used more? Based on my experience, test criteria is still used, but not as it used to be. It’s more about following what the user story specifies. The term complete testing or full coverage are poor designed because the potential inputs for most programs are unlimited. In traditional software development, system requirement are often questionable in terms of how complete and current they are. In agile methods, they are undocumented! So what do system testers do? As the book say, there are no definite answer for test criteria. 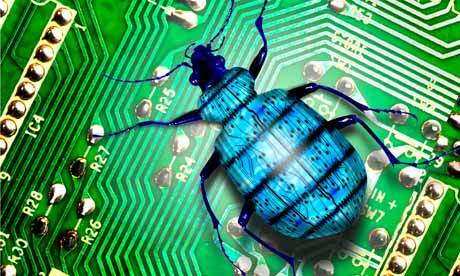 For this blog post I’ll use the word bug referring to either a fault/error/failure. Jorge Aranda and Gina Venolia wrote a paper called The Secret life of Bugs. (click here if you want to read it)In general it talks about how even simple bugs are very complicated to track with just automation, mostly because the human factor. Something that will be fixed very late or never. The authors Jorge and Gina have proof of why we can’t fully rely on electronic repositories a 100%. Which is mainly related to coordination problems. Do we always record the necessary information to understand the whole story of the bug? Some bugs in the records are not bugs in strict sense. Some bugs have wrong status. Some life of bugs will never be understood without a face to face or personal investigation. So in the end it is really interesting to see how when they tried to see the track of the life of the bug they reached dead ends. Or found that histories omitted important details of the bug. I believe our social human factor is the key to why we can’t trust 100% information extracted from electronic repositories.